The flower garden pattern is a classic quilt pattern that looks more difficult than it is. You can make a pattern template for this beautiful quilting pattern, either from Mylar or cardboard. Advances in quilting techniques have been significant in recent years, and Mylar is a heavy plastic that makes excellent templates. Cardboard templates have served quilters well for many years, so that is still an option as well. The advantage to making your own pattern is it can be made in a preferred size and costs little to nothing. Calculate the measurements. A tiny flower garden block is one inch, a small block is two inches, a medium-size block is three inches and a large one is four inches. Choose which of these you would like to use and add one half-inch seam allowance. 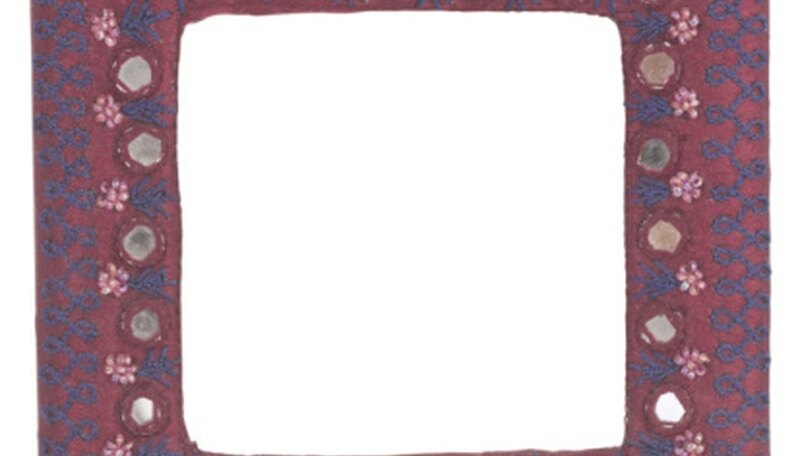 Draw a square onto a plain piece of paper in a 2 1/2 inch-size square. Remember the half-inch is for the seam allowance. Draw the inside square at 2 inches, as this will be where the seam is located. Do not attempt to calculate the actual measurements. Cut out the 2 1/2 inch square. Fold into three parts on one edge. Mark the fold lines with a little mark at the edge. Moving to the other edge, fold it in half on that side. Draw a diagonal from the 1/3 fold to the center of the inside line on the corners. Check for accuracy. Draw a line outside the one you just made to allow a quarter-inch for the seam. Transfer this design to a Mylar or cardboard sheet and mark inside a quarter-inch for the stitching line. Make a sample quilt square to check to be sure the measurements are accurate. Accuracy is important in quilting.